My understanding (from the article) is that India is interested in doing RE business in Malaysia, rather than on "Malaysia's feed-in tariff system" itself. The report implied that India's renewable industry is interested to learn from Malaysia's way of implementing the FiT. It's a bit funny as India's RE industry is more matured than ours. For instance, while we are struggling to register our first 50MW in cumulative energy generation from solar, India's solar power capacity has surpassed 1GW as of June 2012. 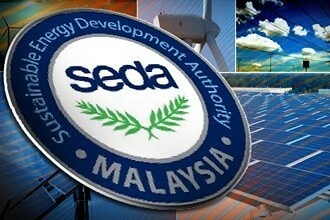 NEW DELHI: India's renewable energy (RE) industry is interested to partake in Malaysia's feed-in-tariff (FiT) system, said TNB Energy Services Sdn Bhd's head (business development), Mohd Azhar Abdul Rahman.“They are keen to know more on micro grid and FiT and are interested to be technology partners,” he said. The FiT system is Malaysia's new mechanism under the Renewable Energy Policy and Action Plan and the Renewable Energy Act 2011 to catalyse generation of renewable energy, up to 30 MW in size. This mechanism allows electricity produced from indigenous renewable resources to be sold to power utilities at a fixed premium price for a specific duration. Mohd Azhar, who participated in the two-day Asean-India Workshop on Cooperation in RE, told Bernama that allowing foreign stake of up to 49% in FiT mechanism was among the attractions to the RE industry in India. According to Sustainable Energy Development Authority Malaysia, which manages and oversees the FiT system, a company incorporated in Malaysia having a foreign person, (alone or together with other foreign persons), holding no more than 49% of voting power or the issued share capital of such company may also apply for feed-in approvals. Malaysia, Mohd Azhar said, could also tap into India's technology in RE. “They are aggressive in RE. Their industry is matured. They have good RE equipment and manufacturers that we can explore and adapt too,” he said. TheGreenMechanis: However, if India is interested in doing Renewable Energy business in Malaysia, we will be more than happy. In return, 49% ownership is not bad for foreign companies. They are welcome to invest here. Why not. then we should follow and forget about nuclear for good. and if people start saying that that's because India has more than a billion population, let's look at Australia which has a population of less than Malaysia's. 41 young workers declared bankrupt daily! How do USB thumb drives hold so much data? Poorly made PV modules hurting Solar PV industry? Can animals be right- or left-handed?